The first few shots are from "The Iowa Suba Affair" and are shown in order. 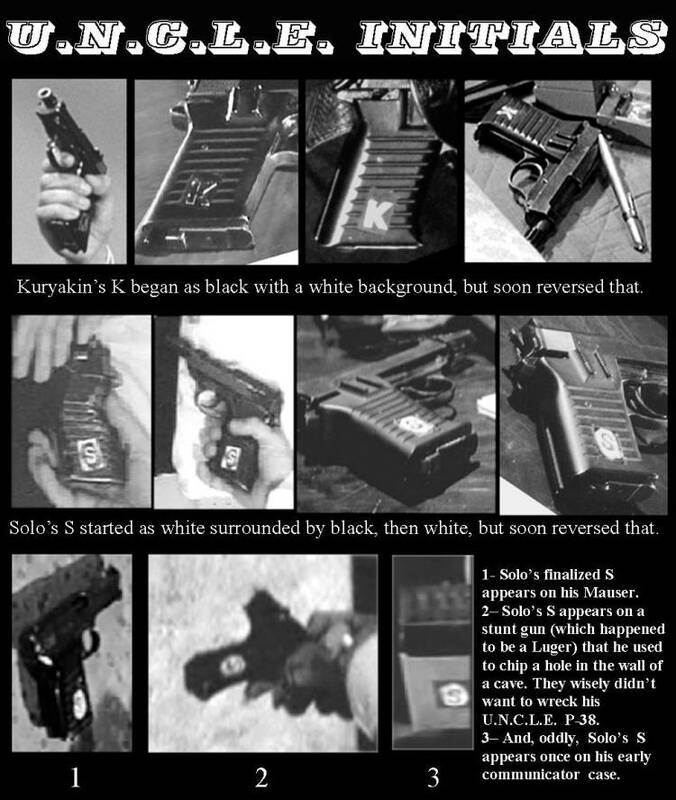 You can see that they used both the Mauser carbine and the P-38 carbine in the scene, as if they were the same gun. Solo does not fire the Mauser, but uses the P-38 for that. 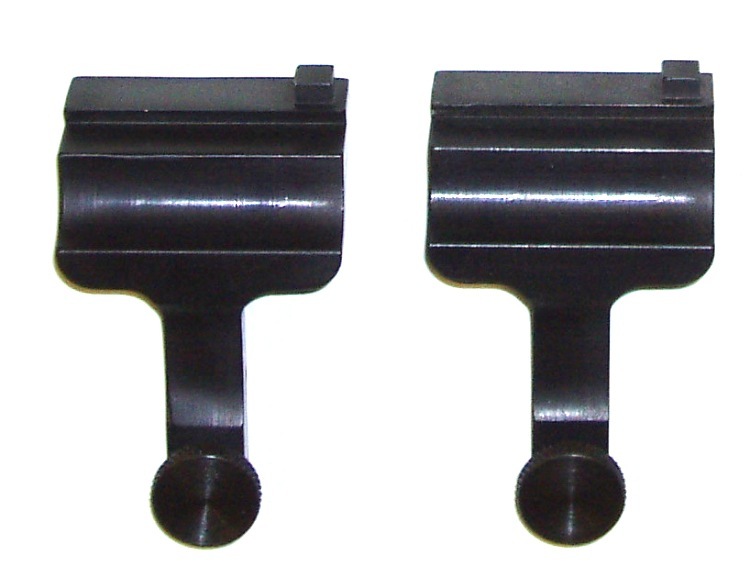 Also, during firing the scope is attached to the P-38 extended barrel. We're still trying to figure out the why's to all of this. They start with the Mauser Carbine. For some reason they throw in a shot of the P-38 carbine. 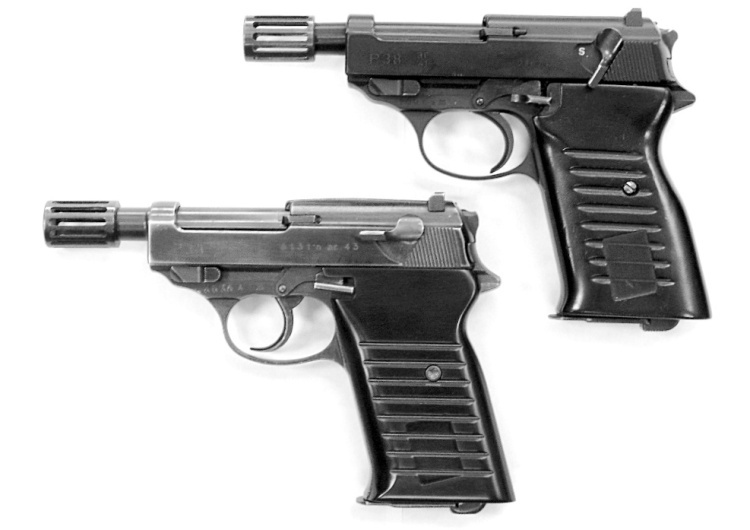 Because of functioning problems with the Mauser they use the P-38 for shooting in the scene. However, it is not the carbine. See how the barrel seems too short, the scope seems almost as long as the barrel and slightly canted to the right, and how you don't really see the stock? It looks like they used a standard P-38 with a silencer and a scope clamped to the barrel (similar to the inset) for the shooting sequence. We are guessing that the P-38 carbine, which makes it's first appearance in the shot further up, was not yet ready for firing and that they U.N.C.L.E. 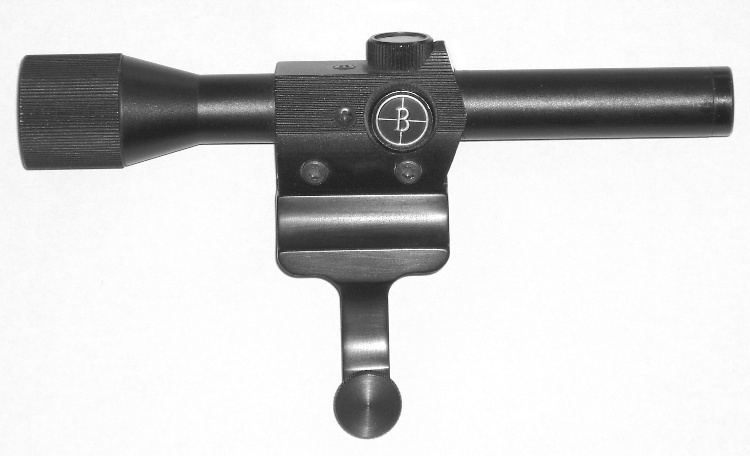 'd up a firing P-38 with a scope clamped to the barrel (because the U.N.C.L.E. grip couldn't quickly be taken off the carbine and put on this gun, or was not ready for this shot) and silencer to fool us for this scene. 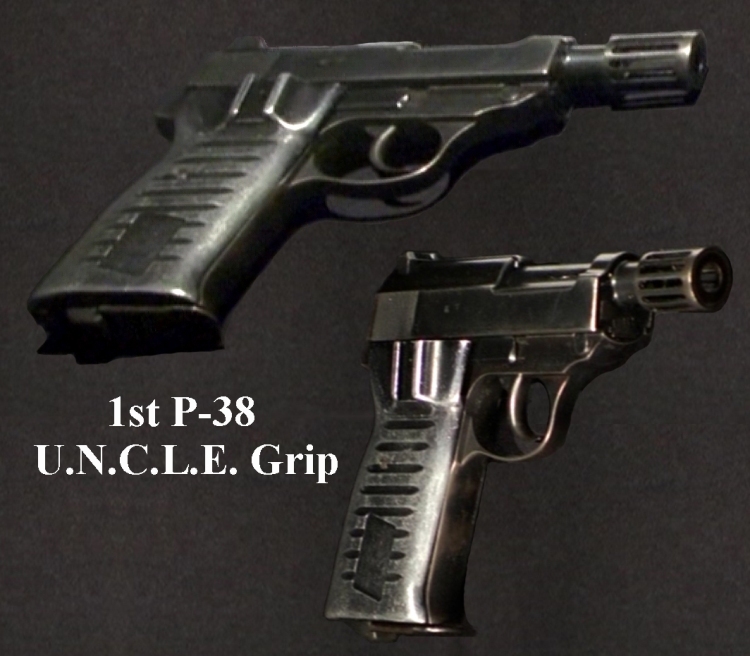 The P-38 carbine, which was being made to replace the malfunctioning Mauser, did not make it's next appearance for several more episodes, but a P-38 with short barrel and U.N.C.L.E. 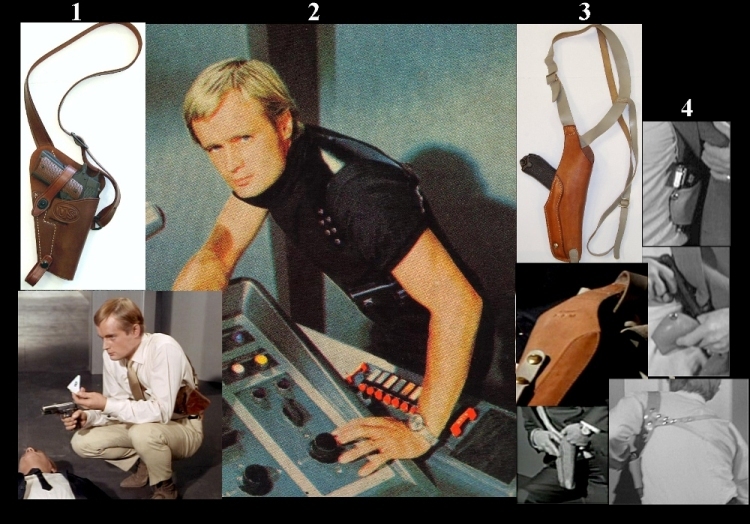 grip (but without flash hider) was used in one firing scene in the next episode filmed, The Brain Killer Affair. Thanks to Ed Maggiani for his insight as to what the shooting gun in this scene probably was. And here they switched back to the Mauser carbine. © 2019 Samaritan Arts. All Rights Reserved.